Translated from Novye Ogneupory, No. 10, pp. 58 – 61, October, 2018. 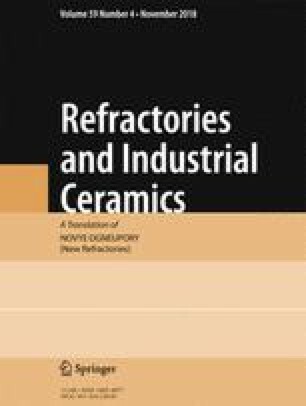 Results were obtained within the scope of a comprehensive project for creating high-tech production on the theme “Development and assimilation of high-tech production of cold resistant and corrosion resistant rolled product for manufacturing straight seam gas and oil pipes within the scope of infrastructure development of TÉK RF with the aim of import substitution” within the scope of an RF Government resolution No. 218 of 04.09.10, agreement No. 02.G25.31.0141.